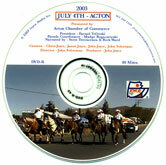 sign language DVD's from Joyce Media Inc.
JULY 4th, 2004: The Acton Chamber of Commerce organized another memorable Parade this year on Saturday, July 3rd, instead of Sunday, July 4th. Local floats and out-of-towners enjoyed a real traditional 4th of July Parade. History Alive! Item #2406. $20. 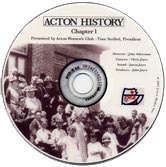 Acton's Historian, Meryl G. Adams, packed her bags and went for a 3 week visit to Acton, England in 1952. Lou Fant was truly one of a kind. 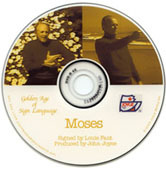 He was one of the best known and highly respected of all ASL teachers and interpreters. Well known as one of the founders of the National Theater for the Deaf, actor Lou Fant helped to found that organization in 1967, gaining praise and attention for their sign language performance of Lewis Carroll 's Jabberwocky. 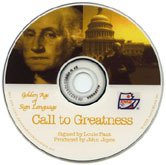 Born in Greenville, SC, to deaf parents, Fant gained a unique perspective and insight into deaf acting while serving as the "voice" for deaf actors while at Gallaudet University in Washington, D.C. Soon focusing his efforts on the organization of the National Theater for the Deaf, Fant later moved to Southern California to pursue acting, appearing in such features as The Pom Pom Girls (1976) and Looking for Mr. Goodbar (1977). Fant also made frequent guest appearances on such popular television shows as Kojack, Little House on the Prairie, and Cheers. As a signing instructor in film, Fant coached such actors as Diane Keaton and Henry Winkler in addition to serving as sign language coach for Children of a Lesser God (1986). 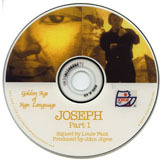 He also authored such text books as Ameslan, Sign Language and Intermediate Sign Language. Also available on DVD. 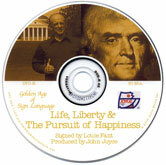 No signer in America could bring Thomas Jefferson to the screen the way Lou Fant does. This show captures Jefferson's brilliance. Lou visits Jefferson's home at Montecello, the University of Virginia which Jefferson founded, the Library of Congress where thousands of Jefferson's books were housed. Fant explains many of Jefferson's inventions and relates the writing of the Declaration of Independence in great detail. This true life adventure fascinates ages 12 thru adult. Featuring: The incomparable Louie J. Fant Jr. and Paco Joyce as "small boy"
Once every year people of goodwill pause to remember that first Christmas in Bethlehem. 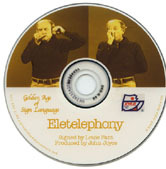 Now this 2000 year old story springs back to life on the hands of a master communicator and story teller in the Golden Age of Sign Language series of famous signers. 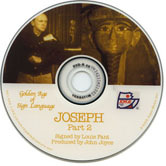 Son of deaf parents, author, teacher, star of many Hollywood movies, "Lou" Fant forms forgotten images in ASL (american sign language) as no other signer in modern times could. Every idea so clear! Feelings! Emotions! Suspense! Drama! Lou's brilliant signing style fuels every imagination, young or old. 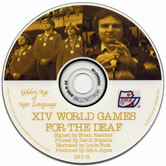 Even people who don't know ASL can enjoy this unparalleled artistic presentation of the finest in deaf culture. 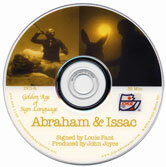 Set in a modern, holiday living room, Lou shares with his son the story of Jesus' birth. Together they set up a miniature manager scene around their family christmas tree like so many families do every year. A warm, glowing fire flickers across Lou Fant's craggy, animated face while he hands down a birthright tradition to his son, the way Lou's own deaf father handed down this priceless, judeo-christian story to him. 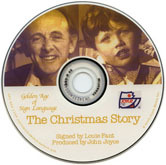 A warm, loving presentation for all ages, children through adult, that can be replayed every year at Christmas time to rekindle the spirit of the season. Perfect gift for a family or interpreter. Artistic gift for people just learning about sign language. 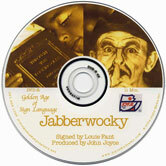 Deaf culture masterpiece for any library. Approx. running time is 30 minutes, color, sound, with Fant's own voice-over english narration. National R.I.D. Interpreter Training. Each presentation is approximately approx 30 min. in length, silent and in color. 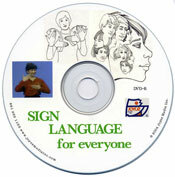 The purpose of these programs is to give signers and new interpreters practice reading deaf people sign. The variety and range of signing really is outstanding. The results will challenge even the best interpreter. These shows are perfect for people preparing for certification because they give a person the chance to reverse interpret in response and repeat each presentation again and again until the meaning becomes evident. While the signs are clear, each person has his or her own style and that is a challenge! 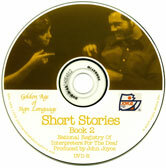 Signed narration and voice narration. This special show documents the record breaking 109 medals won by the USA team in 1981 and captures the true life achievement of sport's pioneer, Art Kruger. This is a unique moment in deaf culture. For persons just learning Sign Language and especially for Sign Language interpreters, this show gives them the chance to see Sign Language in everyday use. Here is the way deaf people communicate, in ASL, in Signed English, in foreign sign languages. Some are very oral, other signers communicate beautifully. All signs come across naturally, not staged, contrived or practiced. The poems that you will experience, share the life of two wonderful worlds of discourse. They reflect the rich legacy of the English of Wales, a region endowed with music and legend to match its mineral wealth. 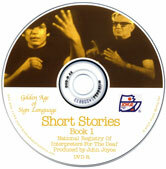 They document and illustrate the quickening influence of American Sign Language with a poetic temperament. Each show is 10 minutes in length, sound, color, sign/voice narration. "Suit the action to the word, the word to the action," Hamlet says in Act II. By action, he means gesture what the hand does while the mouth moves. The rest of the body follows the hand like the troop after the commander once the will has shown the way. This is wholeness of expression, and it is harmony. The ancient Greeks would have called it the discipline of delivery. They were much concerned that live words altered their result. "Book and Movies all in One!" Brand New! Makes learning Signs much easier. 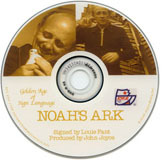 Sign Language for Everyone is an interactive DVD for computer or DVD player. A single click plays the sign in live action. Another click uses it in a sentence. Live drawings with a brief description tell how each sign originated. 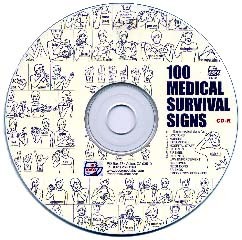 For all ages - Very easy to use and learn how to make over 400 most-used signs. 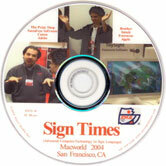 Advanced Computer Technology in Sign Language Current products from THE PRINT SHOP, SASSAFRAS SOFTWARE, CANON, ADOBE, BROTHER, INTUIT, FREEVERSE, APPLE. Visit each booth just like you were there to discover all the new computers and programs that they run. 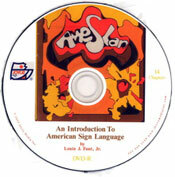 by Louie J Fant, Jr.
Lou Fant, hearing son of deaf parents, offers a delightful way to begin the study of American Sign Language, 4th-most-used-language in the USA. 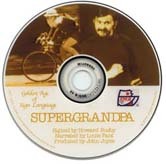 He puts just the right amount of humor, songs, stories and deaf heritage into this DVD. Teaches a person how to sign the way deaf people do. Begins with basic conversational signs like "good morning", "how are you?". Very widely used for one semester courses. 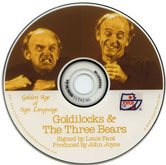 A GOLDEN AGE OF SIGN LANGUAGE CLASSIC. 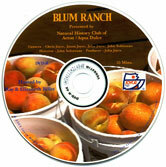 This CD contains PDF files and a copy of Adobe Acrobat Reader(good for both PC and Mac). 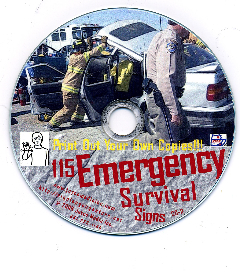 With a printer you can print copies of Emergency Survival Signs in single sheet mode. Designed for many years of use and as many copies as you need. 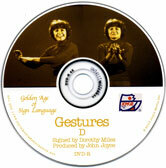 Here's a low cost way to circulate american sign language to the class and around school. 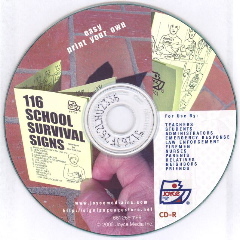 This CD for PC or Mac prints out as many copies of 116 school survival signs as you need on single sheets of regular, yellow paper (8.5x11). Folds to pocket-size. Includes signs for numbers, colors, alphabet and most-used signs at school. For use by: teachers, students, administrators, emergency response, law enforcement, firemen, nurses, parents, neighbors, volunteers and friends. 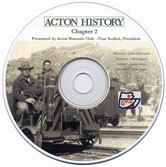 This CD contains PDF files and a copy of Adobe Acrobat Reader(good for both PC and Mac). 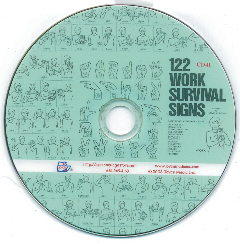 With a printer you can print copies of Work Survival Signs in single sheet mode. Designed for many years of use and as many copies as you need. 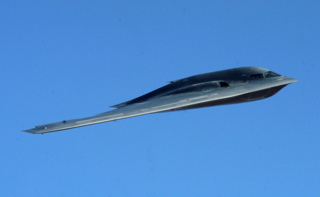 Principal photography for a 45 minute, sign language, true life documentary about top secret airplanes at United States Air Force test center in the Mojave Desert finished on 10/23/05. SECRET SIGNS IN FLIGHT, shot entirely in ASL, features USAF airplanes in flight and close-up ground explanations.Hearing impaired technicians, maintain these state-of-the-art airplanes.